A three-block contemporary edit of boutique shopping, culinary artisans, and creative businesses. The Ice Shops consist of two buildings with retail on the ground floor and is anchored by West Elm. Other retailers include Title Boxing Club, Device Brewing Company, with Mendocino Farms and Cookie Connection opening soon. Three levels of office above are connected by a glass skybridge. Located right off 16th Street, this block features 100 parking spaces below ground, making it easy for customers to come enjoy. Raised above street level, the wrap-around deck will be home to 30' patio dining areas and interactive outdoor shopping spaces. Spaces between 996 - 5,500 SF are currently available, or contact us for temporary leasing information. 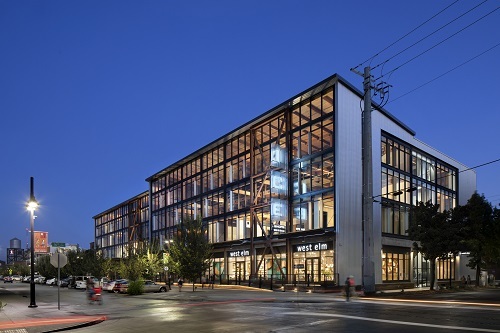 Retail on Block 2 consists of 7,000 square feet of street retail on the ground level, including Warby Parker, Bonobos, Pressed Juicery, Pure Barre and Button Up Boutique. Our new urban loft residences are now fully leased. Restaurants here will enjoy 16’ patio spaces which face Block 3, creating a lively community vibe as guests can easily stop by for a quick drink after dinner. This block also features an iconic two-level restaurant space, which is now available for lease. Block 3 is a courtyard surrounded by three shed-style buildings and is home to Beast + Bounty, Milk Money, Healthy Hounds, All Good, Bishop's Cut/Color and Philz Coffee. A sliding barn door on R Street easily closes off the space for private events, or opens up to welcome customers who are enjoying bocce ball out or a pop-up concert on the stage. We are currently seeking tenants for 840 - 1,678 SF of retail space, either on a permanent or temporary basis. When designing Ice Blocks, we wanted to break the confines of defined spaces to engage our customers, residents, and office workers. All three blocks will be equipped with WiFi, allowing a freelance photographer to work from a café or a college student to study on the roof deck. 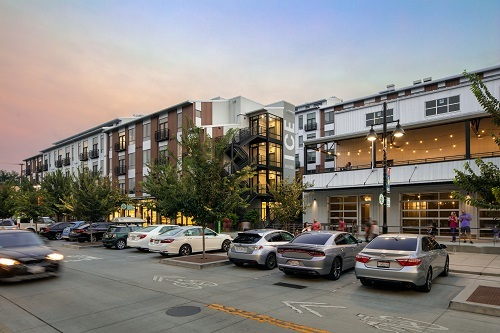 Expansive patios connect the space to the diverse energy of historic R street, including a lofted bar and lounge area which provides the only second floor indoor-outdoor restaurant space in the entire urban core. Sacramento has some of the nation’s best farmers’ markets, outdoor concerts and street food festivals, but no where in town has been built for that purpose. By partnering with the City of Sacramento, R Street can be easily closed off for community events and festivals. A pop up event can truly just pop up. 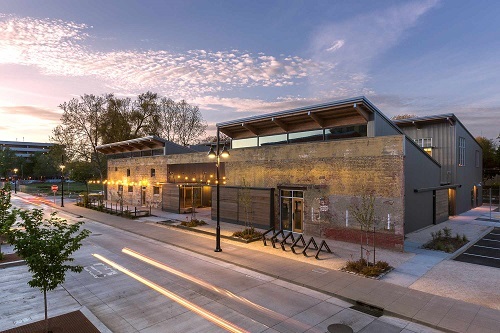 The Ice Blocks is a three block mixed-use redevelopment project located in the historic R Street Corridor. Sacramento's enterprising spirit and creative culture will be exemplified in Ice's contemporary architecture, public art pieces and thoughtful community gathering space. Ice Blocks’ eclectic mix of shops, restaurants, offices and apartments will rejuvenate this once thriving industrial district. 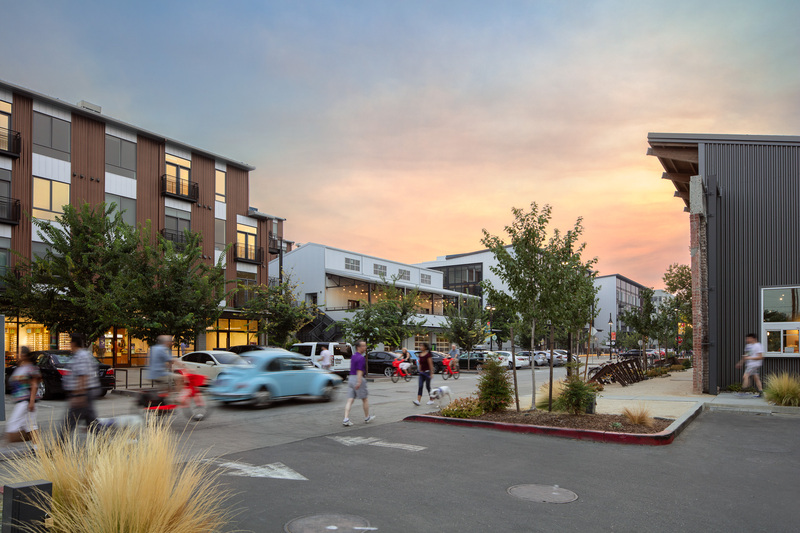 Just a few blocks from Sacramento’s central business district, the R Street Corridor could be considered the central cultural district. 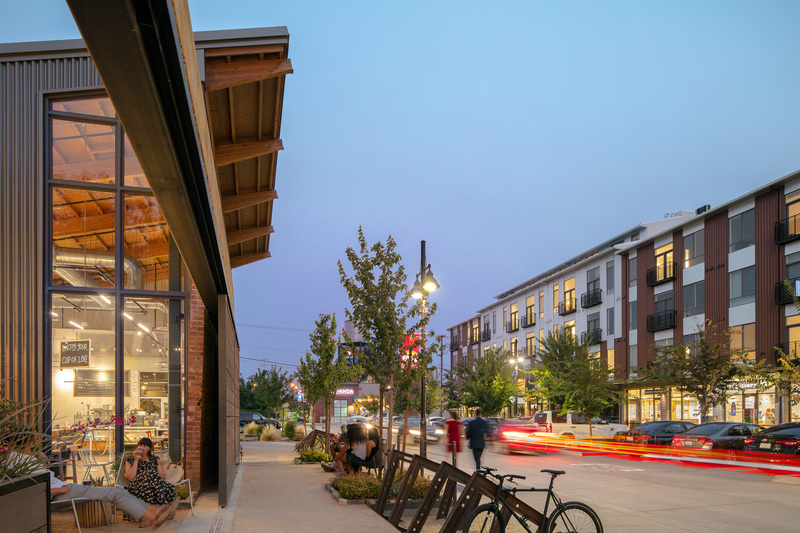 Boutique retail, affordable housing for artists and one of Esquire Magazine’s “25 Coolest Bars in America” all make R Street a destination for urban lifestyle, retail and culture. Sacramento's urban housing market has seen an unprecedented wave of interest - the market had the highest year-over-year rental rate growth in the US in May 2016. This has led to over 18,000 residential units are in development within 20 blocks of The Ice Blocks, bringing an affluent and cosmopolitan customer to Ice.